Maisie was going on her morning walk with her person, Pam, in London's Wormwood Scrubs Park when she sniffed something fishy. She started barking and wouldn't stop. "Maisie and I were walking through the trees in the park on our morning dog walk, when she suddenly stopped and started barking at some bushes," Pam told The Mayhew Animal Home, an organization that's been rescuing animals since 1886. "Usually Maisie barks when she wants a stick, so I got one for her but she just ignored it and carried on staring at the bushes and would not move - that was when I thought she must have found something." Maisie refused to budge from some nearby bushes, so Pam went to investigate. She was shocked by what she found. 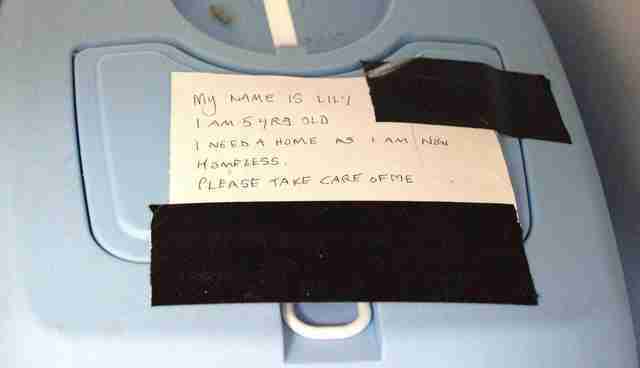 An animal carrier with a note attached to the top that said, "My name is Lily. I am 5 yrs old. I need a home as I am now homeless. Please take care of me." Trapped inside, without any food or water, was a terrified little cat. "I felt shocked and tearful when I found Lily," Pam said. "Being an owner of two cats myself, I couldn't believe that somebody could do that, and thought that her previous owner must have been in a desperate situation." 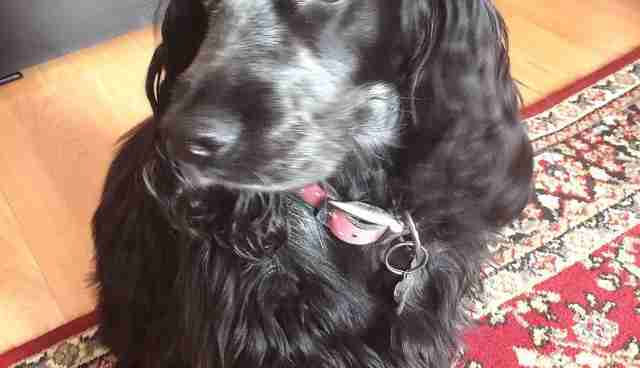 Luckily, it appears that Maisie had found Lily quickly after she was abandoned, The Mayhew reported. But if Maisie hadn't come in time, Lily's fate might have been very grim. "The cat carrier wasn't clearly visible from the outside of the bushes," Pam said, "so if it wasn't for Maisie, I don't know how long Lily would have been left there." Pam took Lily home to rest and then brought her to The Mayhew Animal Home, where she was discovered to be in good condition. Safe and warm, Lily soon warmed up to her rescuers. 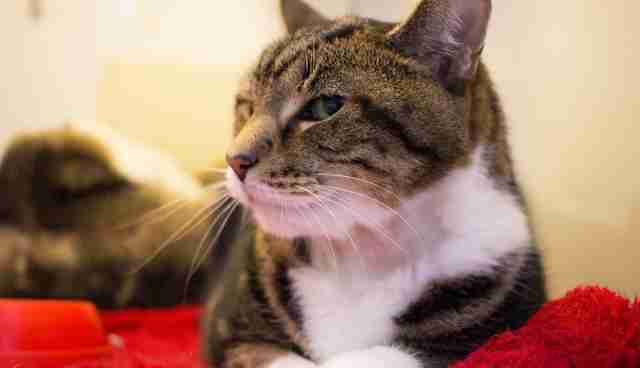 "To dump a cat in her carrier without access to food, water or the chance to escape is an irresponsible thing to do," Alisa Ford, animal welfare officer at The Mayhew Animal Home, said in a statement. "We are so glad that Maisie found Lily quickly, as it's worrying to think what would have happened to her otherwise." Lily's luck didn't stop at Maisie's barking. As soon as she was up for adoption, Lily snagged a new forever home. 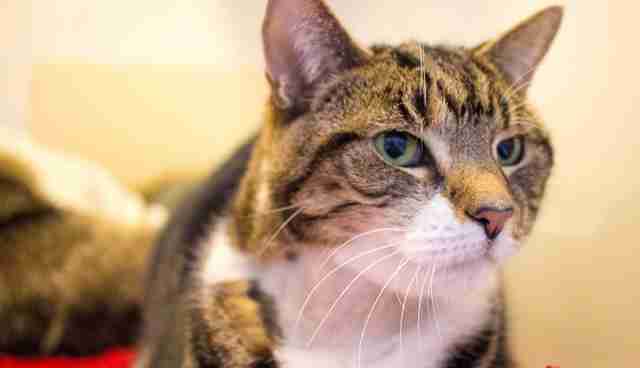 "At The Mayhew we help hundreds of people in crisis situations every year, and we wish that whoever had owned Lily had come to us or another cat shelter instead of abandoning her," Ford said. Click here to learn how you can help The Mayhew Animal Home.